The author lays some eye-opening stats on us in the Prologue. It does as much to shed light on the financial anxiety most Americans are and have been feeling for quite some time – that contribute to much of the division and fear mongering that has become an American staple for others to ‘swooping on’ and take full advantage of. The author also suggests that the general population would be foolish to (think and hope) that it can sit back and allow the super wealthy and super influential to save us all from this situation. The reasons, as so carefully laid out in this book, are that many of the same individuals (and companies) who orchestrate, participate, fund, and preside on speaker panels are,in fact, the ones responsible for creating many of the global issues they claim to be solving. Having watched Mr. Giridharadas appear on numerous television roundtables, I’ve found his overall outlook and knowledge of the world catches my attention. So, in the interest of full disclosure, I went into this book already knowing I would enjoy his style and delivery. It is one of the main reasons why I was even interested in the book in the first place. Nevertheless, what surprised me most was how he used cases of specific grievances from real-world individuals who run in the same circles of people who play this charade. He even ‘razzed’ himself for being part of the process (as a well-compensated public speaker); putting him in a willing role within the charade itself in some ways. He was very forthright in how easy it is to become an unwitting participant in the process due to the willingness to make a living directly from the proceeds (of the charade). Try to pick a good traveling companion (or try my standard method and go solo). Let’s face it, nothing can dim a rare, well-earned vacation faster than dragging along someone who can barely get packed and out the door on departure day – let alone arrive promptly for departure, clear security or customs in an orderly fashion, and get checked into the hotel on the other side of the flight without a hassle. A poor travel mate selection can be the difference between a well-deserved week’s recharge, and sprouting more gray hairs in one week than an octogenarian has in totality. No offense intended to either “octos” or the inefficient traveler out there, just pointing to a few items from a well-oiled, experienced global trekker. Try to pack “gently.” I purposely used the word gently because I’ve found that most unseasoned travelers start off on the wrong foot too – often thinking they must pack “with purpose.” In fact, this approach can be a colossal misstep out of the gates. This is because even back in the days when steep fees attached to extra baggage didn’t apply, I can’t tell you how many airports, cities, hotel lobbies, etc. I’ve observed where hapless travelers just kick themselves during a fairly simple process. It’s almost never worth it to over pack. Don’t worry, the items will still be in your closet for use when you return. Just…let ‘em go! Most over-packers don’t understand that much of what is packed in these “dead bodies disguised as luggage” that they’re dragging around; simply won’t be used during the 7-10 days or so they are out of town. It will, however, cause unnecessary headaches, potential arguments with airport and hotel staff, fellow travelers (both inside and outside of their inner party), and the worst added cost of them all: money. They will weigh you, and then they will slay you. It is much more important to be mindful that we must reuse articles of clothing (sometimes 2-3 or more times) in order to make this all work correctly. A quick check with the hotel will reveal whether their laundry service, or lack thereof, will allow you to reuse your clothing during your stay. I might suggest packing something like one or two pairs of jeans and some earth-tone tops that will take a traveler a long way. A few pair of shorts and one bathing suit will often be enough. Ladies, please keep the hair dryers, giant roller accessories, etc. at home. You’ll look just fine without them. If not, it’s much easier either to request them from the hotel front desk or go up the street upon arrival and buy some inexpensive, disposable items. Another tidbit that travelers forget is most cities require some type of public transit. It is much more comforting to all fellow travelers to have some semblance of control over the amount of luggage each one carries. Remember, this trip about you, but not only about you. I’ve found that, where possible, try to lean toward more intimate accommodations. I’ve found that any time we travel to an unfamiliar city and have already endured excessive lines to and at the airport, customs (when applicable), taxis, trains, auto rentals, etc. – it is much more soothing to the senses to consider an intimate hotel with quicker check-in, little or no room service carts, no loud and booming lobbies, more quality time per staff employee, who, are usually much less stressed out from not having to please too many guests. It simplifies, rejuvenates, and the lack of full amenities will push us to get up and out, leaving the confines of the property for most everything – including a morning cup o’ joe. This is actually a good thing because the last thing we should want to do on vacation is wallow around an oversized space that looks and feels like an old museum. Try to “engage with the city” – without fear of getting lost (start a hike, walk the city without a map, etc.) Just make sure to note the street names (this is easy to do nowadays with smartphones) and pay attention to landmarks or find the subway (if available) to assist you in your unfamiliar city navigation efforts. Set aside your original plans. Just the same, set aside the original itinerary you made (when you knew nothing about the actual city) for a while and mix it up a little. Get to the streets and do a few big laps around the city blocks in order to get acquainted with your surroundings. Let your senses (especially your eyes) draw you into and out of the various places that feel interesting to you. Don’t just rely on any old advice. It amazes me how many travelers I see that are reliant on complete strangers for information that, if they just opened their own minds and eyes for a second, they would more often than not figure out a better alternate solution. Avoid, if possible, commercial information kiosks (even though this advice is counter-intuitive. Remember that the person behind the desk is accustomed to providing simple, repetitive, cookie-cutter, popular solutions – instead of thinking “outside of the box” and taking any risk for fear of losing his or her job. More importantly, I’d say the odds are only 50/50 you’ll get your best advice from large hotel chain employees and other fellow tourists. They most likely will give out the quickest answer so they can get to other things. If you ask hotel personnel, they’ll usually tell you to do what they think you’ll like based on responses of previous tourists. Moreover, if you ask a tourist “What’s the best bar in town,” you’re going to end up going to the one they just located for the first time last night (i.e. “the most popular” bar – where you may dislike because it’s so packed that you resent having your feet stepped on and being unable to order a drink without undue delays). You are more often than not missing out on one of the hidden jewels of a metropolitan city. Try instead to stumble into a smaller (sometimes older), and perhaps less aesthetically pleasing joint and belly-up to a stool and then start asking a few questions. Probably better to do some listening first, but most locals will not recognize you and soon bring it up themselves. This is the time to pay close attention if you want access to the “inside information track.” As long are you are genuine and respectful, most locals will take you under their wing and give you the goods on some spectacular unknowns! And, isn’t that why we’re here in the first place?! Have FUN, for crying out loud! As my mother used to always remind me, “Son, don’t let anyone steal your joy!” She was so correct in this sense because remember, a visitor only has a limited time to enjoy his or her time. Don’t waste it arguing or pouting. Create new memories, and make new friends. Remember, good, bad or ugly, it will all be over soon enough! This should inspire a traveler to avoid confrontation, negativity, and of course, boredom – all of which we can get plenty of at home. Following this simple yet important rule of thumb will go a long way in preserving the joy of your trip. You’ve come too far to simply return home with a bad taste in your mouth. In fact, if financially feasible, go get a facial, a full-body massage or whatever floats your boat – should you feel like the trip isn’t running as well as intended or needs a turnaround. I hope this can article be of some use to you. I wish you all the joy of travel and best of memories in your global journeys! Hope you successfully find yourself while getting lost in this amazing world of hidden treasures! 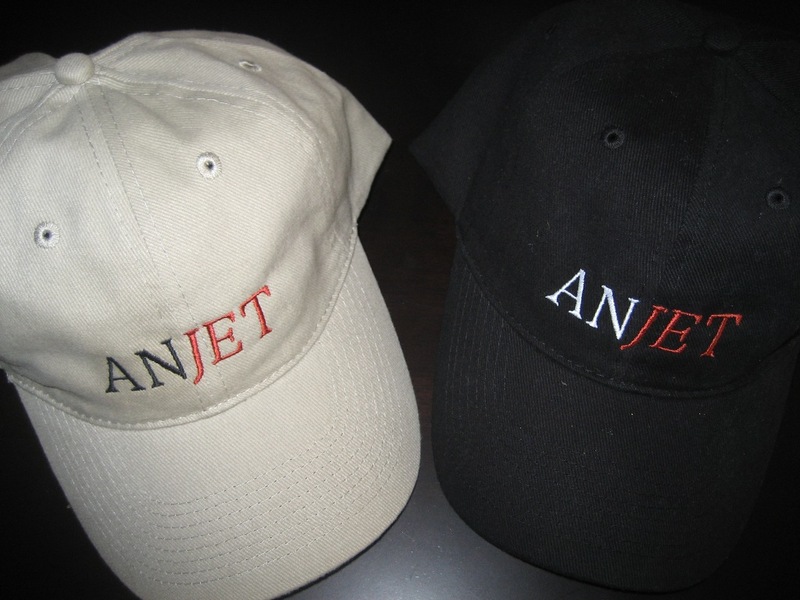 We want your user experience on the ANJET site to be as friendly and helpful as possible. That way, we know you will spend more time with us and take advantage of all we have to offer you in your busy schedule. We decided to power our site by WordPress. WordPress has been an outstanding resource for our sister site, WritePlus , so we decided to add the ANJET platform to the WordPress family likewise. We hope you agree it was a fine choice!